This beautiful holiday apartment in Nice, 7km from the beaches, will be perfect for an unforgettable and sunny family stay! This ground floor is quiet. This beautiful holiday apartment in Nice, 7km from the beaches, will be perfect for an unforgettable and sunny family stay! This ground floor is quiet, in a very pleasant green setting that will not fail to seduce you, with views of the mountains and Nice below. In addition to its friendly and well-equipped interior, you will enjoy a beautiful terrace to relax or share good times with your loved ones, as well as a beautiful garden dotted with olive trees, shared with the owner (lives upstairs). You can discover the beautiful Nice and its famous Promenade des Anglais. Stroll through the old town to soak up the scent of Provence and through Cours Soleya's Flower Market. See also Villa Massena, the Museum of Asian Arts or the Museum of Photography. A walk to the Colline du Château to admire a breathtaking panorama and you will make beautiful bucolic excursions in the Mont-Boron Forest Park. If you are looking for a little corner of serenity, the Jardin du Monastère de Cimiez is waiting for you. And you will certainly spend fantastic sunny days on the beaches! Come and enjoy the French Riviera with your family with this charming holiday rental. This apartment is made from brick or stone and was originally built in 1996 and refurbished in 2000. The agent has rated it as a three star property so it is a well-kept apartment, equipped with standard furniture. It is also good value for money. 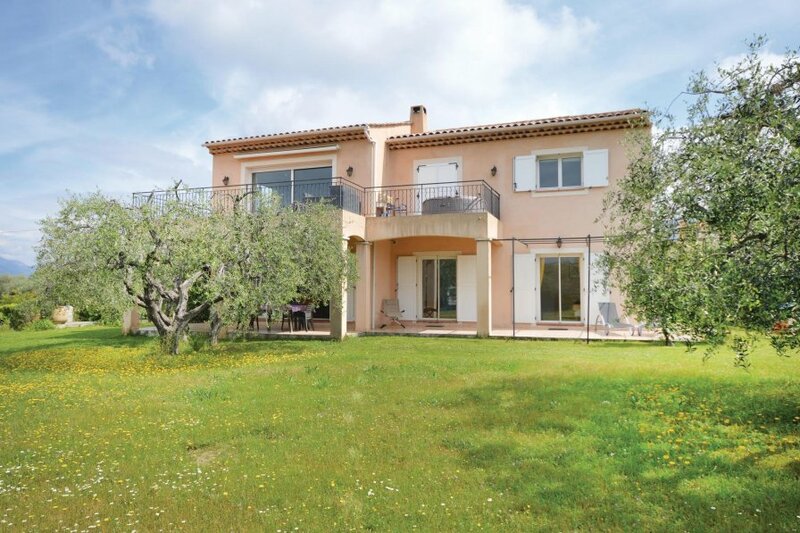 This apartment has mountain view and is located in Cremat-Bellet, 28km from Antibes. The nearest airport is only 13.5km away. It is set in a good location, 7km away from a sandy beach. There's also a restaurant 1.5km away. The apartment has free wireless internet. You can also park in the garage on-site at no extra charge. The apartment is well equipped: it has a refrigerator, microwave, washing machine and dishwasher. It also has a barbecue and some garden furniture outside.